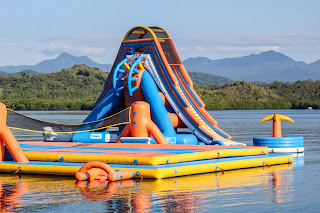 Kamia Bay Resort in Puerto Princesa Palawan, Philippines houses the biggest aqua play park in Asia to date. 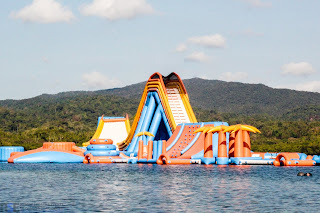 An approximately 4,000-sqm stretch of floating obstacle course, it guarantees to give you an adrenaline rush like no other especially through its gigantic floating inflatable water slides. 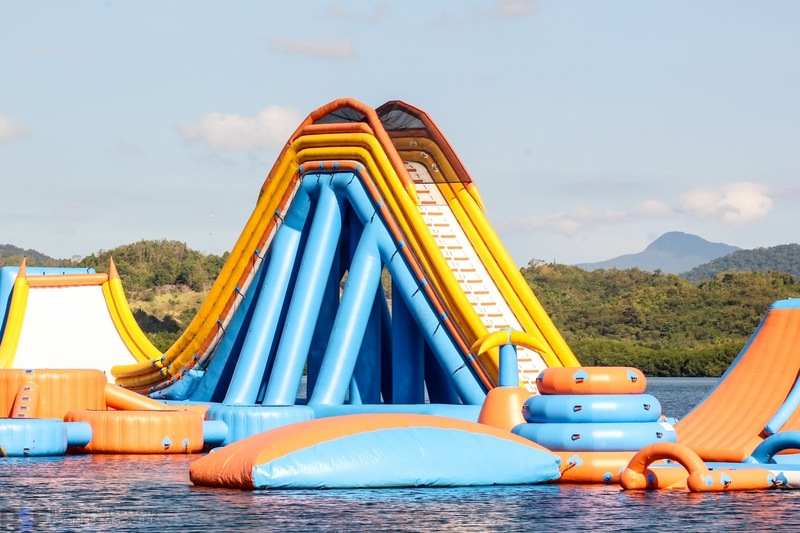 These monstrous floating inflatable water slides are designed and built by Peter Appleton of Aqua Play Parks (Slidezilla Ltd). His company, which has been in the inflatable business for more than 30 years, has introduced two innovative designs in the market: (1) the 3-in-1 Climber Slide that's about 41-ft high, and (2) the Half-pipe Giant Slide that's towering at 45 feet. 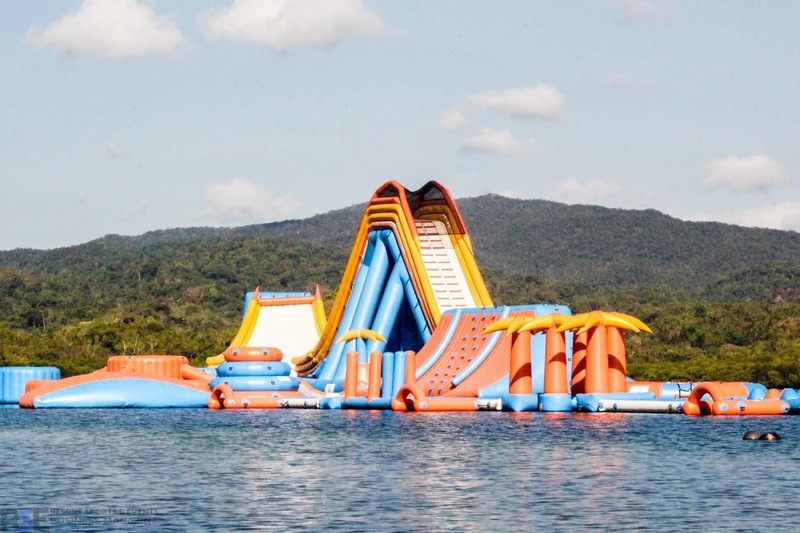 The design, size, and the thrill factor these floating inflatable water slides posses have kept them unsurpassed. Just look at the 3-in-1 Climber Slide in the photo above and in the video below. Doesn't it look majestic! In the 3-in1 Climber Slide you can either climb up the wall or work your way up the stairs in order to take the plunge. If you're yet to muster the courage to drop down, you can have someone to slide with you down into the water. Here's another drone footage of the Half-pipe slide in all its glory. Impressive, isn't it? Measuring a massive 13.7 meters height, this slide is tall enough to leave even the biggest thrill seekers unnerved. Here, you can slide down alone or with a partner before a quick drop, head first. But don't worry about plunging into the water head first, it's completely safe and tolerable! The Half-pipe Slide and the 3-in-1 Climber is just two of Aqua Play Parks innovative, unbeatable designs. The latest design that's rumored to be unveiled this autumn is much bigger! Can you just imagine? Bigger and better! Well, we sure can't wait to see! What do you think about this article? Do you have other water parks/ adventure parks you want us to feature? Send as a message or leave your thoughts in the comment section below! 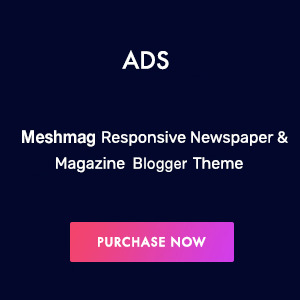 Don't forget to subscribe for updates!